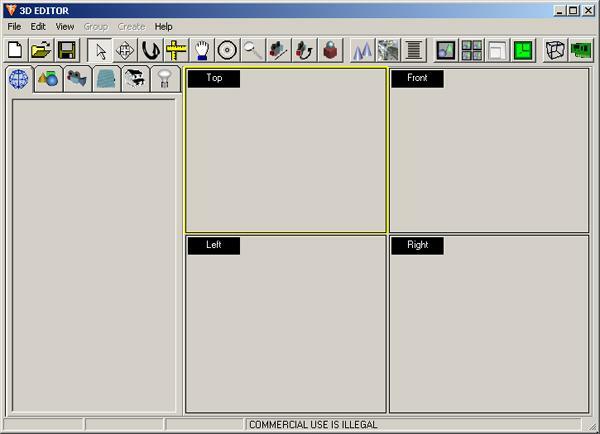 Can display four views of the loaded scene simultaneously. The views can be resized so that they use different sized areas of the screen. The selected view can be quickly maximized or minimized. Experts mode maximizes the screen area used for displaying views by hiding the toolbar and workspace. Most recently opened files are queued in the file menu for quick access. Selection list – for quickly and precisely selecting single/multiple objects. Undo redo for almost all actions. Panning – selected view is moved left, right, up and/or down. Revolve – the scene camera can be made to revolve around the selected object. This makes it possible to view the object from every direction. Zoom – the scene camera can be zoomed in and out. 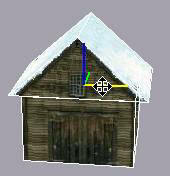 The scene camera can also be moved in or out (towards/away from object). This is different from zooming wherein the camera stays stationary. Rolling – the camera can be rotated along its viewing axis. Transform gizmo – helps in moving (or rotating or scaling) objects by restricting motion along the x, y or z axis. Zoom extents – this automatically moves the scene camera such that the image drawn of the 3d object selected utilizes maximum view area. Selected object can also be centered in the current view without zoom in/out. Select hardware or software rendering. Create primitives: Plane, Box, Sphere, Cone, Cylinder, Torus. 2 sub object levels support. Point & Polygon modes. Movement, rotation and scale transformation can be applied at object level as well as either of the 2 sub object levels. Polygon sub object mode supports Flipping, Cutting, Extrusion and Beveling and of selected polygons. While creating 2d animations, you can add multiple bitmaps with a single selection. Cameras and Lights can be moved and rotated just as groups in the scene. 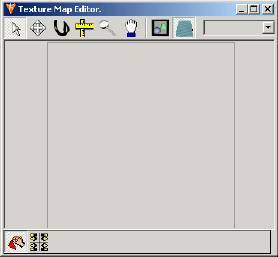 A texture coordinate editor is also provided. Selected polygons can be made to have planar map along the x, y or z axis or along their average normal. The commercial version is further enhanced to support more features. To view more Screen Shots and Download click here.